A Newark day service building has received a £800,000 transformation to improve the facilities on offer and make it a more attractive environment for service users. 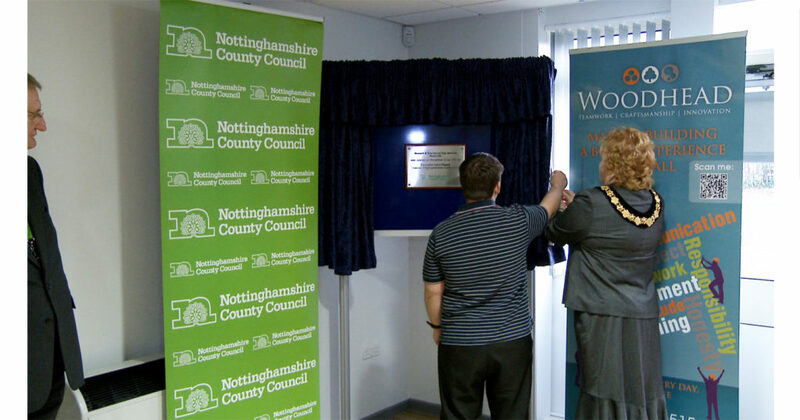 Nottinghamshire County Council has extensively refurbished the Newark and Sherwood Day Service centre in New Balderton, formerly known as Balderton Day Service, as part of a £6m modernisation of day service bases across the county. Improvements include a new sensory room and reception area, and a redesigned layout to make the building more flexible for users. The service was previously only used by people with physical disabilities but the refurbishment allows the centre to offer a wide range of activities to older people and people with learning disabilities. Activities include arts and crafts, sports, educational and leisure pursuits, horticulture and community based activities. The improved centre is expected to be used by an estimated 300 people per week throughout the Newark and Sherwood district. The building will also be available for use by the wider community, with groups being able to hire rooms for meetings and activities when not in use by the day service. Councillor Kevin Rostance, Chairman of the County Council’s Adult Social Care and Health Committee, said: “We aim for the refurbishment to make the building a more modern and flexible space for the wider range of services that will be on offer at the centre. Contractor Robert Woodhead Limited have completed the refurbishment works at Newark and Sherwood Day Service Centre. The project was particularly challenging as the Centre had to be completed to a strict programme in order to minimise disruption to service users. The County Council’s investment in Newark and Sherwood Day Services will make a huge difference for users and is the biggest in our countywide upgrade of day service buildings. Nottinghamshire County Council decided to modernise its day services following a countywide review. One conclusion from the review was that the day services were not making efficient use of buildings, which were operating at an average of just 39 percent of their capacity. Following the programme of improvement works across the county, day services will operate from 14 multi-purpose buildings, including Newark and Sherwood Day Service.